It is unhealthy for children to consume fluoride at such a young age. For this reason, it is important to make sure you choose the right kind of toothpaste for your child. 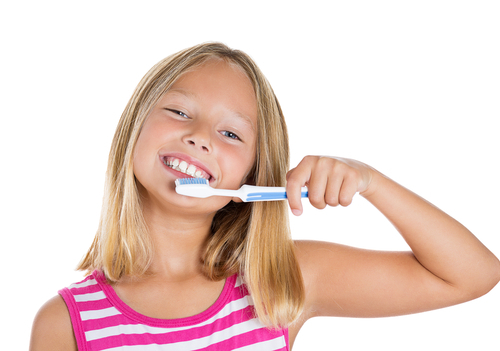 Regardless of if you are brushing their teeth, helping them brush their teeth, or they are doing it all on their own – you need to make sure you are using the best toothpaste for your child. Start with a training toothpaste for young children (even the toothpaste recommended for infants and toddlers will work). This toothpaste is great for teaching your child the fundamentals of brushing his or her teeth without having to worry about them swallowing anything they shouldn’t swallow. Children’s toothpaste comes in different flavors with different characters for a reason. There is no shame in letting your child help choose the toothpaste. Your child is more likely to embrace using the toothpaste and making the right choices if he or she had a hand in picking it out. Just give him or her several to choose from and let him or her decide. Last but certainly not least, you should always talk to your child’s dentist. The dentist will always recommended what he or she thinks are the best options. Depending on the dentist, you may even be able to get samples from the office to try to see what your child might like and not like.